Adiphene Review (UPDATED 2019): Miracle or dud? Adiphene Review: Miracle or dud? Advertised with having multiple properties that can help with weight loss, Adiphene offers itself out to the market as a weight loss cure that doesn’t even require a diet and exercise regimen! No really, Adiphene claims it is just that good! However does including all kinds of different ingredients, such as stimulants, metabolism boosters and appetite suppressants really work together as an unbeatable team against unwanted fat? Or is it just an idea that sounds good, with no concrete evidence of working? We decided to see for ourselves. 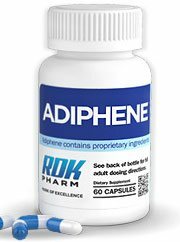 Adiphene is manufactured by the Dallas, Texas based RDK Global. RDK Global also makes a variety of other health supplements. Adiphene can be purchased directly from the company’s website. The company’s website claims that Adiphene works by combing metabolism boosters thermogenic agents, an appetite suppressor and stimulants together, so that fat can be burned all the time, regardless if the user is exercising or not. With Adiphene unwanted fat is supposedly burned, which in turn helps curb hunger. It is mentioned on the website that while not necessary, diet and exercise can help. 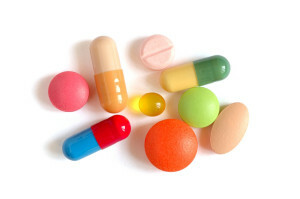 It is instructed that users take a capsule 20 minutes before breakfast and another before lunch, both with water. Despite it’s claims, there have been no independent user reviews to support this product’s claims. Adiphene claims that what makes it work so well, is a combination of a variety of different ingredients that are all wrapped up into one. These ingredients include thermogenic agents, stimulants, metabolism boosters, an appetite suppressor and a fat binder. Despite all it’s claims, it is uncertain if Adiphene really does work as well as it claims, as there is no mention about the dosage of the different ingredients. If you are interested in all natural diet pills that are up front and truthful about their claims, please check out the top 10 list. Cinnamon extract: While it may be good at lowering cholesterol levels, clinical studies have found the effectiveness of this ingredient to be inconclusive. Cayenne capsicum: While it is likely that it can help boost metabolism, it likely comes in too small a dosage to have much of an effect in this product. Bitter orange: Contains synephrine, which increases testosterone. 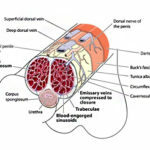 This in turn may increase heart rate and blood pressure. This has led in some cases to heart attack and stroke. Ginseg panax: Sometimes used as a cognitive stimulant. Chromium picolinate: Not actually a stimulant even though it is advertised as such. Cacao extract: Also known as chocolate. While it can lower blood pressure, it may increase blood sugar levels as well. Gurana extract: Helps increase metabolism by having more caffeine in it than coffee. L Carnitine HCL: Helps convert fat into energy. Can help with some medical conditions, but not proven to help with weight loss. Ginger root: Used to treat upset stomach symptoms, there is no evidence that this helps with weight loss. Vitamin B6: Found in various food stuffs such as meat, dairy and fish, this helps with metabolism. Glucomannan: Helps keep a full feeling when ingested, the amount it comes in with this product isn’t enough to be effective. Chitosan: Coming from shellfish, it is believed this can help stop fat absorption. However clinical studies have shown that without a calorie restricted diet, the effects of this ingredient are minimal. Possible adverse effects may include: Nausea, vomiting, increased heart rate, headaches, gas, heightened blood pressure, diarrhea, insomnia, risk of choking, anxiety and jitteriness. 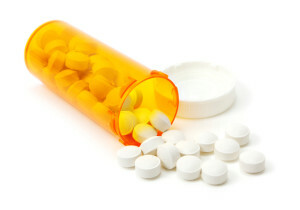 Despite it’s high price, Adiphene doesn’t set it’s users up in an auto-shipment program, like many other diet pills do without the buyer knowing. While claiming to do a lot, the fact of the matter is that the ingredients included in Adiphene for the most part are either not that effective in helping with weight loss, or that the amounts that are included are so small that the effectiveness would be dismal. Through it’s marketing campaign Adiphene tries to steer away from these facts by acting like, if you use a lot at once, something is bound to help in weight loss regardless! While nice to believe, that simply isn’t true. Just because a lot of ingredients can be included, that doesn’t necessarily mean anything. Not to mention that some of the ingredients, such as bitter orange, have been linked to heart attack and stroke, even among younger people. Costing nearly $70 for one bottle for claims that can’t be proven, you would do well to be wary of this product. Advertised to help with weight loss through various means, the idea of Adiphene seems full proof. However when looking into the details, one gets the sense that everything is as shallow as a billboard. 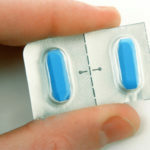 When a diet pill says that you don’t need diet and exercise to see results, that alone should be enough for you to be wary about the validity of it’s claims. If a product starts to sound like a miracle pill, chances are it’s too good to be true. Decked out in multiple ingredients, Adiphene attempts to do just that. The reality is that this isn’t the only diet pill out there; there are plenty of other, cheaper, more effective diet pills out on the market. All it takes is a little research to find what’s best for you.